SMX Convention Center held a Southern edition of its signature event, Culinaire: Savor. Match. Experience last July 26, Thursday at Function Room 1 of SMX Convention Center Davao from 6pm-10pm. The Culinaire event is an annual thanksgiving event for clients, hosted by SMX Convention Center together with its accredited caterers. This degustation showcased the culinary strengths of the caterers while honoring top clients for their business and loyalty through the years. The exclusive invitation was attended by 214 guests from the government, corporate, media and VIPs from SM Group. Culinaire was first launched in 2011 in SMX Manila, 4 years after the convention center first opened. In the succeeding years, Culinaire flourished from an intimate and simple gathering of caterers and clients into a bigger and more spectacular showcase of menus. Themes have been added later on to make the event styling and caterers’ booth set up more attractive and cohesive. 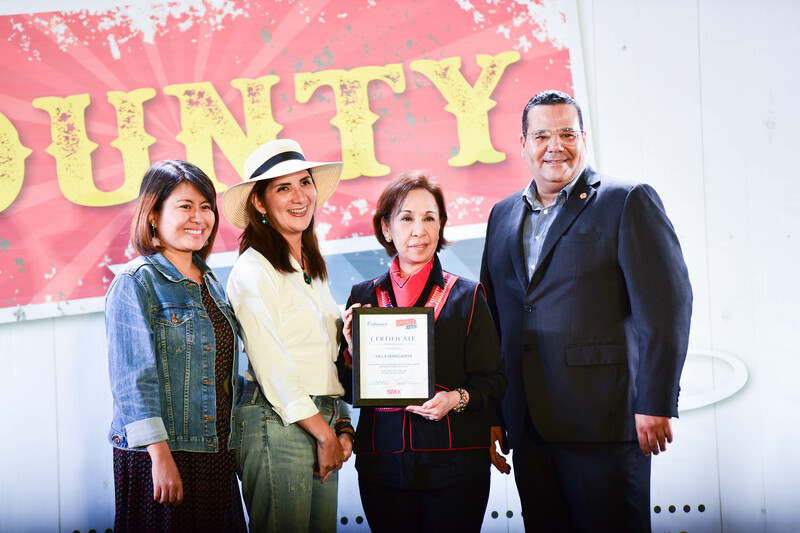 For this year’s 1st culinary event hosted by SMX Davao, the Southern crowd was served a county fair inspiration highlighting the best menu spread from Park Inn by Radisson Davao, Chippens, Grand Menseng Hotel and Villa Margarita. County Fair, usually replete with farmers’ local produce, livestock, rides and games was the theme and set up for the night. The four accredited caterers adorned their booths in rustic wood, pewter, burlap and plaid accessories reminiscent of annual local fairs. The food was actually the main highlight by the time the buffet was opened to all the guests and the four accredited caterers were the gracious hosts beaming with pride. These four accredited caterers have grown with the company and have serviced most of Davao’s notable events held in SMX Convention Center. The night will not be complete without the Hotel Partners, Conrad Manila, Park Inn by Radisson Davao, Radisson Blu Cebu, Taal Vista Hotel and Pico Sands Hotel adding more excitement to the night by giving away overnight stay and buffet lunch or dinner gift certificates as raffle prizes. There will be more exciting SMX signature events ahead but the Culinaire will always be the most anticipated one.